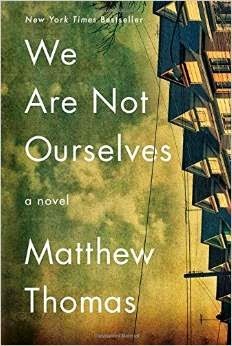 We Are Not Ourselves by Matthew Thomas. If you like sagas, you might want to follow the life of Eileen Leary, born in Queens, NY, to Irish immigrants in 1941. Her life is an epic journey as she overcomes a tough childhood striving to better herself and live the American dream. She becomes a nurse, marries and has a son. Although these events are not particularly extraordinary, the story is a good reflection of American society in the late 20th century. 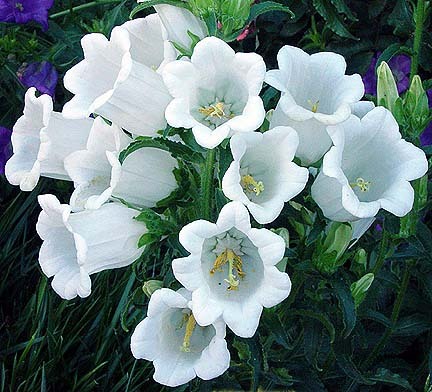 It is also a poignant tale of living with a husband who eventually suffers from Alzheimer’s. This debut author is getting rave reviews, possibly because he writes like a seasoned one. The Paying Guests by Sarah Waters. The setting is London, 1922. The Great War has left Frances Ray and her mother alone in their stately home on Champion Hill without a father and a son and also without an income to support themselves and their former lifestyle. To keep their home, they take in lodgers, The Paying Guests, Len and Lily Barber. The Barbers are a notch below the Rays on the social scale but in Frances’ boring world, they are “like sunrise in a gloomy room”. What follows is an illicit romance, a murder, a trial and a moral dilemma for Frances. Although this is Waters sixth book, it is the first one I have read and, evidently, skillful plots with twists and turns are her trade mark. I would read another. 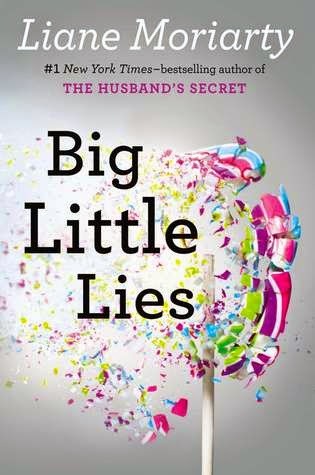 I read Big Little Lies by Liane Moriarty because I enjoyed her best-seller, The Husband’s Secret so much. Big Little Lies has more humor and wit but still deals with murder, in this case in the opening scene. What follows are all the events leading up to the unfortunate occurrence at, of all places, a parents’ night at the Pirriwee Elementary school fund-raiser. Strong cocktails they are downing without appetizers that don’t arrive due to a traffic jam complicate the evening further or perhaps contribute to the tragedy. Like The Husband’s Secret, the setting is her native Australia and again told from different viewpoints: Madeline, Celeste and Jane, all mothers who have children at the same elementary school. When one of the children is accused of bullying another child on the playground, the mothers start acting more like children, as they exclude one mother from their “clique” without verifying the accusation. Moriarty’s story illustrates how often little lies can have big consequences. Although it’s been many years since I belonged to the Mom’s playground set, I could relate to all these characters that Moriarty has a knack for developing so vividly. One reviewer says she has sharp insight into human nature. She is “spot on, Mate”. a bulletin board at St. Kilda’s, a private boarding school where girls can post their innermost secrets anonymously. When Holly brings Detective Stephan Moore a note from the board that says “I Know Who Killed Him”, the cold case of a murdered sixteen-year old boy at a neighboring school is re-opened. The story is told from multiple viewpoints: Holly, her three friends and Detective Moran, who I think you’ll like, especially his interaction with his superior, a hard and abrasive lady named Conway. They both have something they need to prove. In real time, the story takes place in one day, with flashbacks (400 some pages worth) leading up to the day of the new investigation. Speaking of pages, one thing all the books above have in common is their heft. All are over 450 pages, We Are Not Ourselves tops them at 641. Hope your summer was also full of good reads, by the pool, the beach, or in the comfort of your air-conditioning.